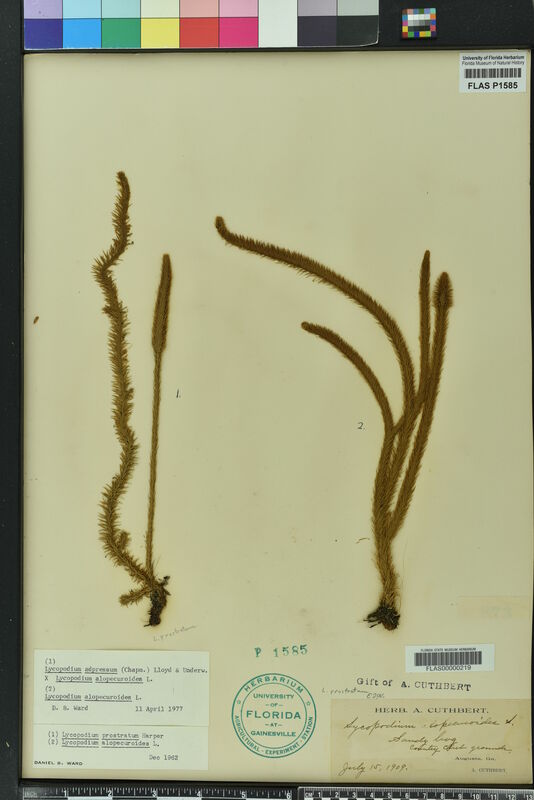 ID Remarks: Other plant on sheet identified as Lycopodium alopecuroides. Georeference Remarks: Augusta Country Club was founded in 1899. I included the ten golf holes nearest the clubhouse, as I believe they were constructed around the club's founding.